if only i could get my skimemr to pull anytning but liquid crap. 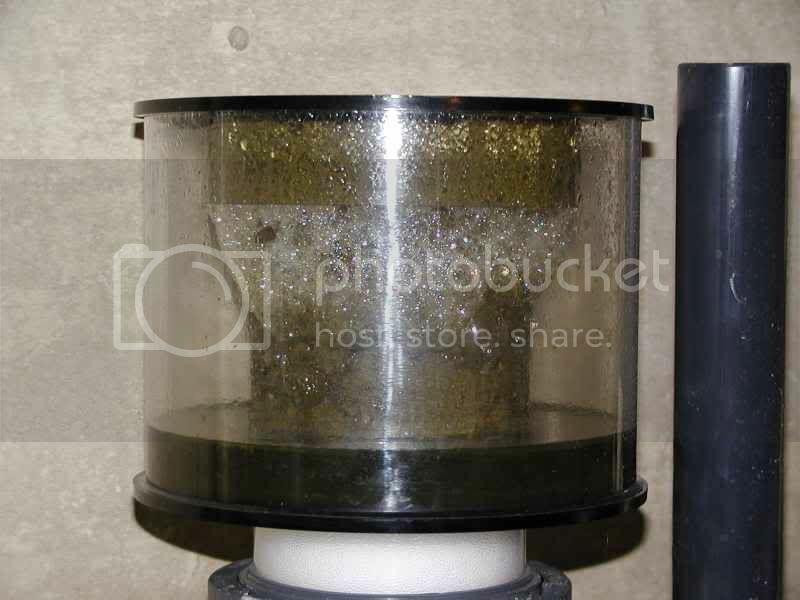 i bought a used jebo 180 for what i thought was cheap at the time (70$) and had to replace the air valve because it would either flood the skimmer or be open all the way, unnaceptable. It's spewing microbubbles and being a HOB it's been a pain, some filter floss cut that back a little. alas, it has only pulled green liquid, no sludge, no black gold (or crud). i'm still giving it time, i think i may make a DIY bubble trap out of a cup with a baffle in the middle and foam on either side. long story short; i wish i was pulling nice goo. i don't like HOB stuff just for that reason but we have to make do with what we have and the space we have to do it.